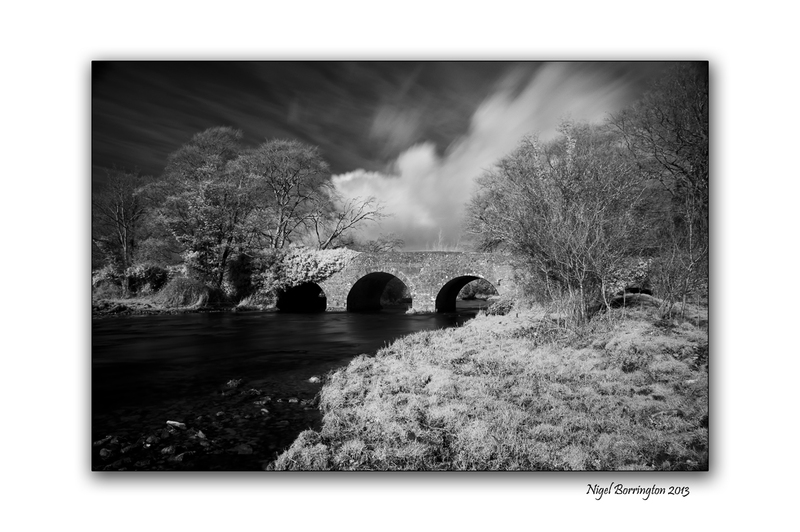 I first exhibited this Infra-red photograph of this bridge that crosses the river Anner, Clonmel, County Tipperary. The exhibition was held in the public Library in Clonmel town. This entry was posted on May 14, 2013 by nigel borrington. It was filed under Gallery, Landscape, Solo images and was tagged with Clonmel, irish bridges, Irish photography, irish rivers, Landscape, Tipperary. Call me old fashioned 😉 … but I love bridges like this one . I like this effect on it Nigel . Thank you, yes me too. I love the old stone work and you feel that the work that went into creating them was somehow much more respectable. Nigel, I love the contrasts in this one! Cloud variations, the dark water against a hyper-real landscape….and of course that gorgeous bridge. This is what our dreams must look like! Hum, that’s could be a project and a half !!! Thank you, for your visit and your great feed back.